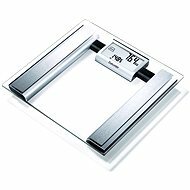 The OMRON BF214's are practical and modern personal weighing scales, finished in a stylish black design that will complement your home interior perfectly. They are made of high-quality tempered glass, providing durability, stability and easy maintenance. The OMRON BF214's offer accurate measurements up to 150kg. The 4 integrated sensors provide precise results with a weighing accuracy of just 0.1kg. 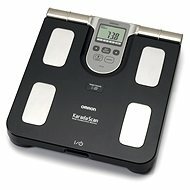 The scales utilise the modern bio-impedance method, meaning that you can evaluate your BMI and muscle mass as well as the percentage of body and visceral fat present. 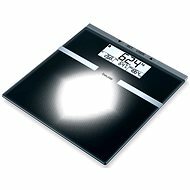 If you’re on a diet, these intelligent scales can distinguish between fat loss and body mass loss, helping you to stay on track! They come equipped with a memory for up to four individual users, meaning that your whole household can benefit. A large, easy to read display has been fitted for your convenience. Anti-slip feet guarantee stability, even on wet bathroom surfaces. For shipping to other EU countries visit this page OMRON BF214. Für Versand nach Deutschland, besuchen Sie bitte OMRON BF214. Chcete doručit zboží do Česka? Prohlédněte si OMRON BF214 . Chcete doručiť tovar na Slovensko? Prezrite si OMRON BF214. Für Versand nach Österreich, besuchen Sie bitte OMRON BF214. Magyarországra történő kiszállításért tekintse meg ezt a termékoldalt: OMRON BF214.